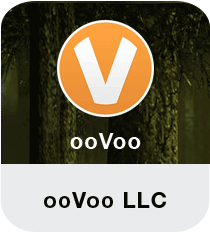 ooVoo is a powerful instant messaging and VoIP application that lets you make video calls, send text message, make video calls to your friends. This way utility helps you to stay in touch with people who mean a lot to you but you can’t meet them. One of the major attractions of ooVoo lies in its conference mode that lets you connect with up-to 12 people at a time. This way you can call multiple contacts at the same time and communicate with them simultaneously. During conference all the user’s video are displayed in the interface with their appropriate name. So you’ll have no issue while talking with them online. One thing you’ll definitely admire within the messaging software is its simple and interactive user interface, which makes it reliable for both novice and experienced users. You can download ooVoo for Windows and always stay-in touch with your friends, family and loved ones. The messaging program for Windows features a plenty of customization options. It lets you perform all tasks you normally do in a video chat application such as changing status, import contacts, block malicious contacts, send files to your contacts etc. Apart from this, you can also record and send videos messages, directly send videos from the app to YouTube and send instant messages to your friends on Facebook. ooVoo is an efficient chatting tool that lets you stay connected with your family and friends even if you’re not around them. The program offers you all the functionality like video calling, simple phone calls, send texts and videos messages, sharing files with your contacts etc. You can also make conference calls where you can add up-to 12 people at a time. Apart from this, the user interface is quite simple and impressive, which means you’ll have no trouble getting along with the app. Overall, ooVoo is the perfect choice if you’re looking for a suitable alternative for Skype.